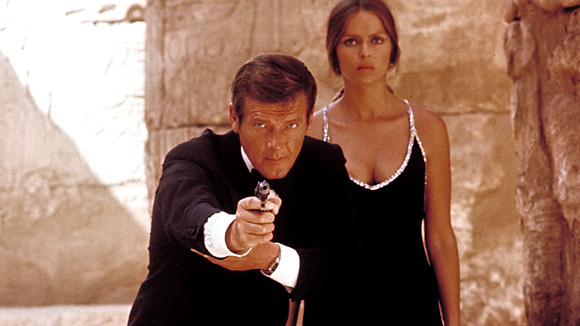 #Bond_age_ is back on the wagon this week with arguably Party Moore’s best Bond flick. It’s The Spy Who Loved Me Live Tweet! Don’t believe in the power of The Spy Who Loved Me? Let me count the ways. #1. Opening ski chase with explosive ski poles. #3a. The fish. I don’t need to explain. #4. Party Moore’s killer tuxedo. #5. Bond punches Jaws in the face. Twice. #6. The dress. Again, no more explanation necessary. #7. Steve Coogan/Alan Partridge reenactment of the opening. #9. Caroline Munro. Oh my. Join us for The Spy Who Loved Me live tweet session Wednesday at 9pm EDT because there’s at least ten more where that came from. Follow #TSWLM.